Mobile wallets can make paying by credit or debit card seamless: Tap your phone at checkout and you're on your way. But mobile wallets are just the beginning. Payment networks and manufacturers are building payment functions into more devices—expanding your options as well as freeing up your hands. You could find yourself buying gas from the dashboard of your car, groceries from your refrigerator door or dinner by flashing a smile. And you won't even need your phone with you to make purchases on the go. — Wearables. Connected "smart" accessories such as watches, bands and rings travel lighter than a phone. To use, the wearer holds a wrist or hand up to a contactless payment terminal. 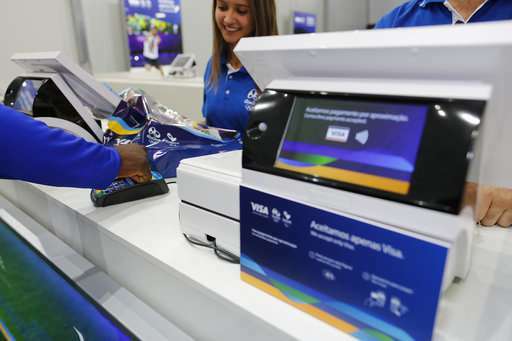 Visa tested these devices at the 2016 Rio Olympics to demonstrate possibilities, says Mark Jamison, global head of innovation and design at Visa. The market will determine, he says, if fashion designers want to "embed payments into a ring or any other device." One company privately testing similar tech is Token, whose smart ring—which performs a variety of functions, from opening doors to paying for purchases—has a waiting list. — Virtual assistants. When voice payments are enabled on virtual assistants like Amazon Echo and Google Home, you can multitask and take care of "errands" in the moment with verbal commands. — Cars. Visa and Mastercard are working with manufacturers to embed options in car models. Manufacturers are also testing ways to pay for gas, groceries, takeout, metered parking and other things from screens on vehicle dashboards. "It's still early, but we are focused on bringing that to life this year, to have the ability for you, as the driver, to not just order from one type of merchant," says Stephane Wyper, senior vice president of new commerce partnerships and commercialization at Mastercard. — Appliances. 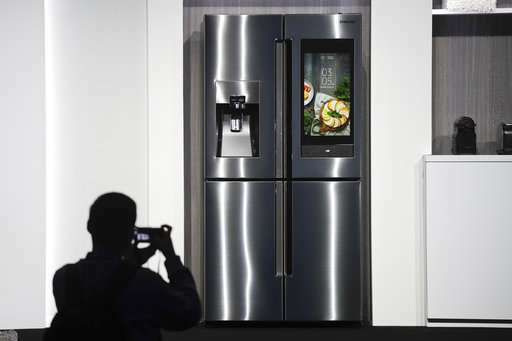 Appliances will get smarter in the future. A glimpse of what's possible: Samsung's Family Hub refrigerator, which lets you order groceries from the Groceries by Mastercard app; Whirlpool's Smart Dishwasher, which, when synced with an Amazon account, can estimate when you're low on detergent and order it automatically. — Your body. Going totally device-free could also become an option. Biometric payments make it possible to pay by voice, face, iris scan or fingerprint. It's not a big stretch from the biometric authentication currently used by some phones or applications. "The technology itself has been around for a while, but consumers were skeptical of it," Jamison says. They've since become accustomed to authenticating using a fingerprint via phone, and their preference has shifted from user ID and password to biometrics, he says. Merchants won't begin accepting payments from everything overnight; for certain devices it may take a few years. For now, you can start exploring the options outside of your mobile wallet.